After you have placed your referral with the Referral Center (by telephone, through the eReferral Form or by fax), the referral will be placed with a real estate company. Usually, we can place a referral with a brokerage company within half a day, if not sooner. The brokerage company should then contact the customer within 48 hours of the time that we register them. Following the placement and verbal acceptance of the referral, we enter the referral into our computer tracking system. By placing your referral into the system, we can accurately keep track of information concerning the referral, including confirmations and status updates. Our system will automatically generate a written confirmation to both you and to the brokerage company with whom the referral was placed. 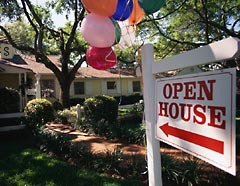 The broker signs, confirming their acceptance of the referral and their agreement to pay a referral fee upon closing. Every 45 days, we request an update on the status of the referral from the broker. As we gather information, it is added to our tracking system and a copy of the comments are provided to you. If you are an “E-Member”, you will receive your update comments by e-mail (for more information on the E-Member program CLICK HERE]. Information the broker tells the Referral Center is included in the status update to you. If you find any information about your referral customer, let us know that as well so we keep our records as current as possible. CLICK HERE to update the referral. Finally, after the transaction has closed, the broker will issue a commission check to the Referral Center. Once all of the information has been received, and we have the proper paperwork, we will issue your check. If your membership file is complete, we mail your check within two business days.